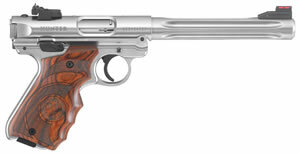 Sturm, Ruger & Co., otherwise known as Ruger, was founded in 1949 by William B. Ruger and Alexander McCormick Sturm in a small makeshift machine shop in Southport, Connecticut. As a curious gunsmith, Ruger adapted elements of the German 9mm Luger and the American Colt Woodsman to create the flagship Ruger .22 caliber pistol. Marketed as an affordable .22 caliber rimfire for casual sport, target shooting and plinking, this standard model propelled the Ruger company to success while becoming the most recognized and successful .22 semi-automatic pistol ever created. Today, Ruger offers over 400 variations of more than 30 product lines for everything from hunting to self-defense, and the company provides handgun enthusiasts with a large assortment of pistols and revolvers that incorporate proven designs and innovation. 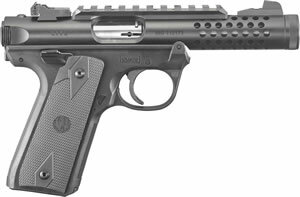 Ruger handguns are light, clean and have a fast pull. With just the right balance of features, function and price, first-time shooters and seasoned professionals alike will find a Ruger handgun that meets their needs. Lightweight, aluminum, skeletonized triggers with adjustable over-travel stops, which provide a crisp pull and a quick positive reset. Stainless steel ramped barrels, which are nitrided for maximum durability. Genuine Novak LoMount Carry three-dot sights. Modular wrap-around grip systems with adjustable palm swells for a comfortable trigger reach. 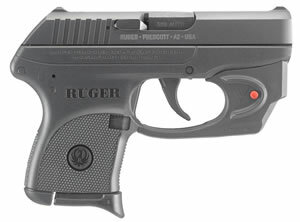 Ruger Lightweight Compact Pistols (LCP) are the perfect choice in a compact handgun. 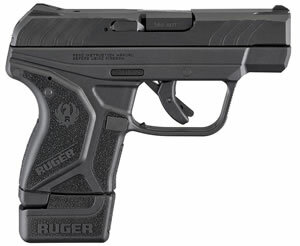 The Ruger LCP is a favorite for concealment carry and personal protection. 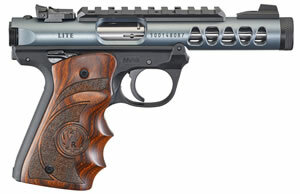 The pistol features a 2.75-inch blued alloy steel barrel. Its rugged, durable construction within its 5.16 inches long and 3.60 inches tall size makes the Ruger LCP reliable and capable of fitting any holster. It also comes with a 6-round magazine and includes a finger grip extension floorplate for comfort and control. The LCP comes in over 15 model variations and colors. The LCP II is the newest variant of the standard LCP, and shares many of the same specifications. The LCP II features a larger textured grip frame providing more surface area to handle recoil forces. This makes for a more comfortable shooting experience, especially for shooters with larger hands. The pistol also comes with a different trigger system, providing a shorter, crisp trigger pull with a single-action feel. Ruger Lightweight Compact Revolvers (LCR) are made from aerospace-grade aluminum and designed with a friction-reducing cam, which allows for a very smooth trigger pull. 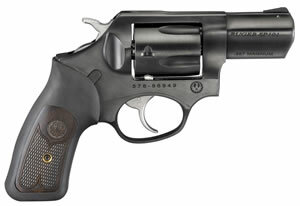 Its 1.87 inch barrel, internal hammer and smooth edges make it ideal for personal protection and concealed carry. Available in a variety of calibers, including .38 Special, .357 Magnum and .327 Federal Magnum, this handgun has the durability and power you would expect from a Ruger double-action revolver. The LCR is a simplistic and easy to use handgun, making it one of the most popular revolvers on the market for personal protection and a perfect choice for a new shooter. 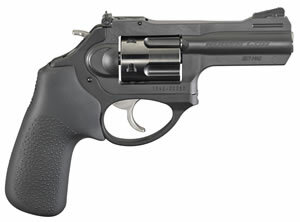 The Ruger LCR also comes in a variant called the LCRx. The LCRx is almost identical to the standard LCR, but features an exposed external hammer and is also offered in a 3-inch barrel length. 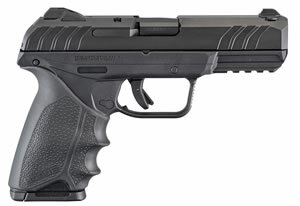 Ruger SR9 centerfire pistols are full-size striker-fired 9mm with slide-activated cocking mechanisms and integral trigger safeties. The semi-automatic mechanism is a cam-block recoil-operated tilt-lock, with a full-length recoil spring guide rod. This is a full-size pistol featuring a 4.14 inch barrel, dovetailed 3-dot sights, integral accessory rail and reversible backstrap. 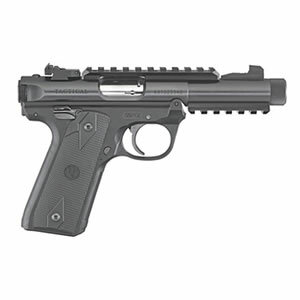 The Ruger SR9 is an overall good-feeling shooter with great accuracy and reliability. 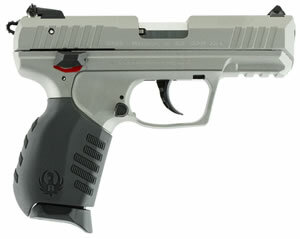 Ruger SR40 pistols are perfectly sized to be comfortable and controllable. The SR40 models are basically the same as the SR9 models, except it’s chambered for the .40 caliber S&W. They feature customized flat or arched grips, high visibility 3-dot sight systems, easy-to-reach ambidextrous manual safeties D-shaped magazine releases and a slide design that helps to reduce recoil. 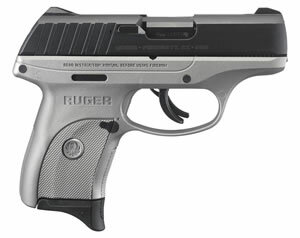 The Ruger American is a semi-automatic pistol that utilizes a locked breech action with a barrel cam designed to smooth out recoil by controlling rearward movement of the slide as the cartridge is fired. This eases an unwanted kick and allows for quick follow-up shots. This gun shoots pancake-flat, and it’s fast, controllable and accurate. 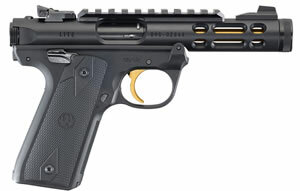 The American pistol comes in full-size (duty) or compact variations. 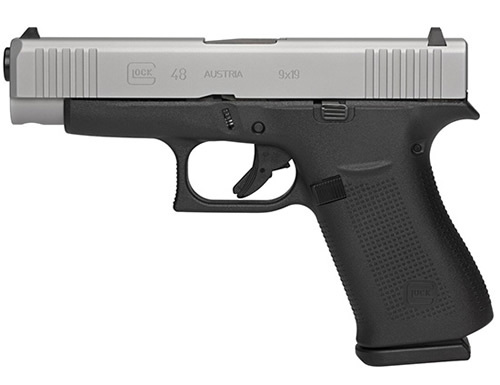 The compact model features a 3.55 inch barrel and the full-size a 4.20 inch. Other key features include ambidextrous controls, non-slip surface slide serrations, a pre-tension striker system, Novak LoMount sights and +p ammunition use capability. 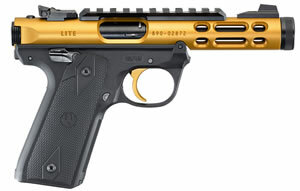 This pistol is offered in numerous model variations, colors and calibers. 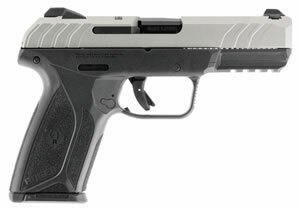 The Ruger American pistol is built tough to perform in the harshest conditions, making it a great American pistol. Talk about a smooth operator. The precision CNC-controlled machining of the SR1911 handguns produces a perfect slide-to-frame fit, and the stainless-steel barrels and bushings are manufactured from matching bar stock, resulting in enhanced precision accuracy. The SR1911 models come in a 4.25 or 5 inch stainless steel barrel. The bushings and barrel are produced from the same bar stock on the same machine, making for precise accuracy. Other features include a skeletonized hammer and trigger, extended thumb safety, positive barrel lock-up and an oversized beavertail grip safety. The SR1911 is chambered in 9mm or .45 ACP, and comes in different model variations and finishes, which makes for a classically-styled pistol that comes ready to perform and builds on the success of its famed forebears. The iconic firearm that started it all for Ruger has been progressively updated and modernized while still retaining its aesthetic and accuracy. Today’s Mark IV semi-automatic rimfire pistol comes with a simple press-button takedown located right below the bolt at the rear of the pistol for quick and easy field-stripping. 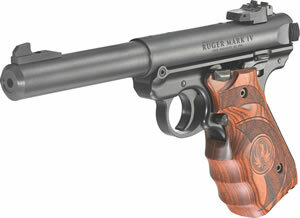 The Ruger Mark IV is one of the most popular rimfire pistols on the market for target shooting. They make for a great introduction to pistol shooting and also popular with younger shooters. The Mark IV comes in numerous variations, including the Mark IV Standard, Mark IV Competition, Mark IV Target, Mark IV Tactical and Mark IV Hunter. Solid and dependable shot after shot, the Ruger SP101 revolvers all have solid steel sidewall construction, resulting in rugged dependability that you can count on. 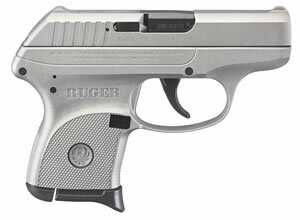 Ruger SP101 handguns are simple to operate with a mild recoil, and small enough to be carried across long distances. 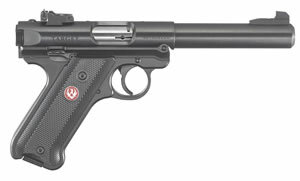 The Ruger SP101 comes in numerous variations and styles. Barrel lengths are offered in a 2.25”, 3”, 4.20” and 5” and come chambered in .357 Magnum, 9mm, .38 Special +P, .327 Federal and .22 LR. Its triple-locking cylinder is locked into the frame at the front, rear and bottom for more positive alignment and dependable operation shot after shot. 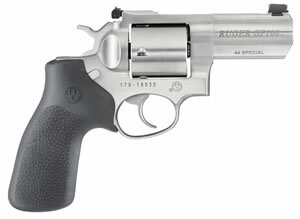 The Ruger SP101 is a proven handgun and favorite with revolver shooters. 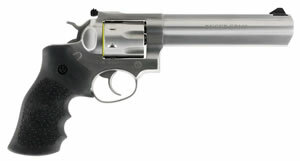 These double-action revolvers are capable of handling powerful magnum charges with a unique single-spring mechanism, allowing for a smooth, lighter trigger pull. The Ruger Redhawk big game revolvers have many advanced features, like triple locking cylinders, rugged stainless-steel construction with no side plates and extra metal in the top straps, sidewalls and barrel mounting areas in order to handle high-power ammunition. Also available with added internal recoil and grip cushion support, the Super Redhawk variants is all about potent strength and power. The Super Redhawk is great for hunting with its long barrel length and magnum calibers. 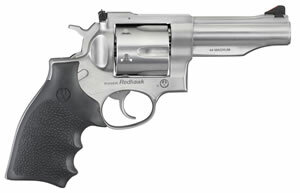 The revolver is chambered in .44 Magnum, .454 Casull, .480 Ruger and .41 Remington Magnum. Barrel lengths come in 5”, 6.5” 7.5” and 9.5”. All Super Redhawks come with cold-hammer forged barrels with ultra-precise rifling for exceptional accuracy and longevity. Ruger Blackhawk revolvers feature modern technology in a classic single-action revolver with the traditional feel of western-style, hand-filling grip. The ultra-precise rifling provides for exceptional accuracy, and safety features include a transfer-bar ignition system with reverse indexing and the stop and loading-gates interlock, providing unparalleled security. 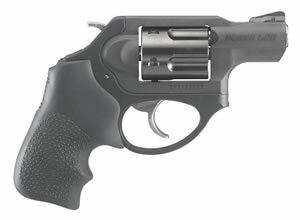 The Ruger Blackhawk centerfire revolver comes in a variety of calibers, barrel lengths and grips to meet the requirements of today’s single-action shooters. The Ruger Super Blackhawk offers popular models that include the Blackhawk Standard, Blackhawk Bisley, Blackhawk Hunter and Blackhawk Bisley Hunter. For every cowboy or cowgirl, the handsome Ruger Vaquero brings back the look, style and feel of the Old West in a single-action revolver with unparalleled performance innovations. The larger crescent-shaped ejector rod head exemplifies the beauty and traditional look of this classic revolver, while the cold hammer-forged barrel allows for longevity and easy cleaning to ensure a handgun that lasts for a lifetime. 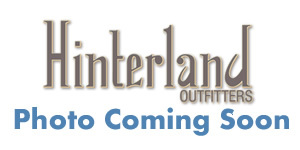 Hinterland Outfitters offers the most trusted, high-quality brands on the market, and we are a proud purveyor of Ruger handguns. 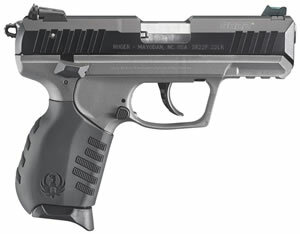 Explore our selection of Ruger handguns for sale, as well as accessories, gun parts, optics, ammunition and hunting gear. 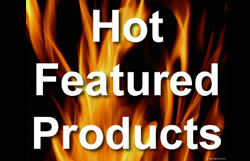 Please contact us at 877-446-8370 or by email, and we’ll be glad to help with any questions about Ruger Firearms.